HUTTONSVILLE—A total of 81 young Catholics from across the diocese convened in Huttonsville for the diocese’s annual Senior High Youth Conference. The conference was held Sept. 28-29 with the theme “Turn Your World Upside Down,” based on the Scripture reading for that Sunday. 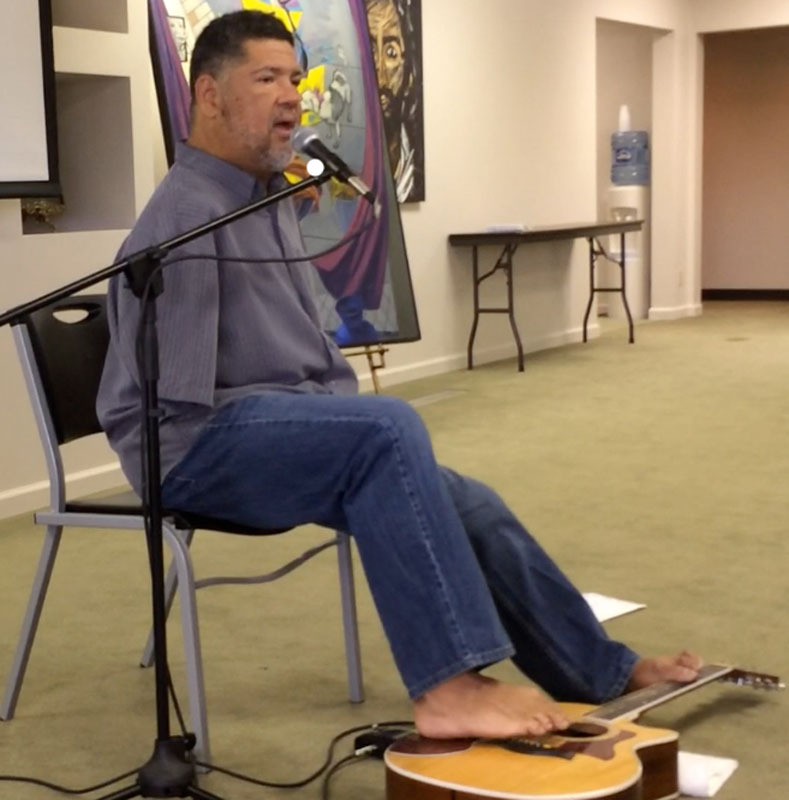 The young participants received a special treat with a visit and performance by Tony Melendez, who was born without arms and learned to play the guitar with his feet. He is well known for his performance for Pope John Paul II in 1987 in Los Angeles. The pope was so moved by Melendez’s performance that he kissed him in appreciation. 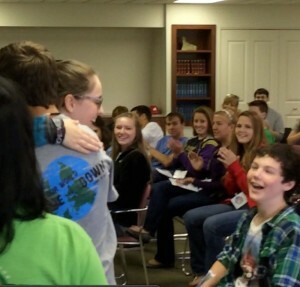 Young people are pictured at the diocese’s annual Senior High Youth Conference in Huttonsville. Tony Melendez performs at the diocese’s annual Senior High Youth Conference in Huttonsville. The conference gathered 81 young Catholics from across the diocese. The conference also included several breakout sessions, concerts by the diocesan house-band and workshops. Participants also attended Mass and had the chance to go to confession and adoration. Priests present at the conference were Father Leonard Smith and Father Carlos Melocoton.